This is the Jones-Biggers Home, at 615 Second Street. The house was built in 1892, by Dr. Paul Tudor Jones, in the Queen Anne style. In 1917, the house was acquired by James D. Biggers. 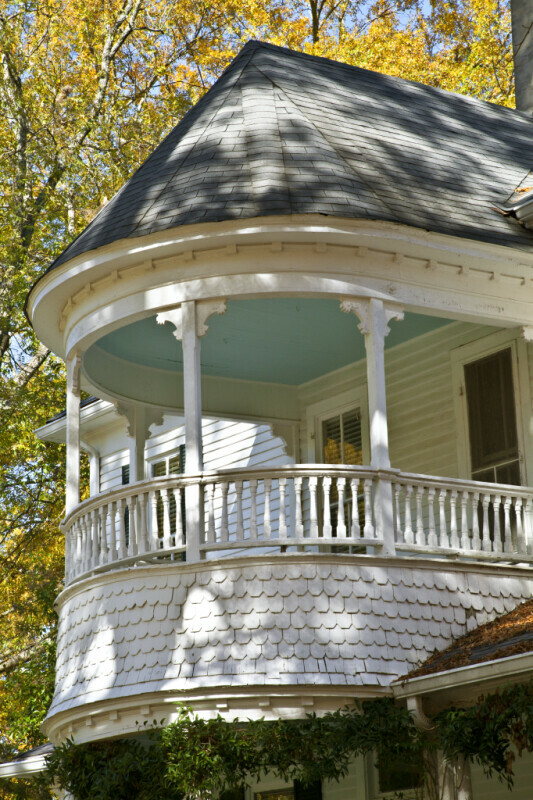 This image provides a close-up of the curvilinear balcony on the second floor of the Jones-Biggers Home. The exterior of the balcony is decorated with wooden shingles that are arranged in a fish scale pattern.